This probably won't be up for long ... from LCN .. en francais ... (you don't have to listen to Ezra Levant or Lilley). "Quit Slouching! - You're Not 67 Yet"
At the moment in Canada, pricing of any item or service allows the seller to divide the dollar price into 100 individual units of currency known as a 'penny' or a 'cent'. 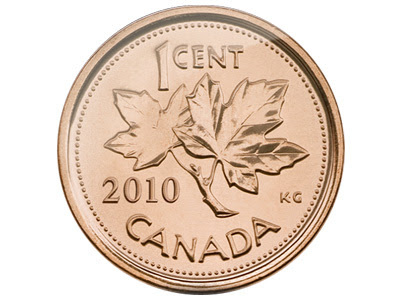 The federal Conservatives are abolishing the penny and the new minimum unit of Canadian currency will be the 5 Cent 'Nickel'. We are told that prices will simply be rounded up or down to accommodate the loss of the penny as a tool in the market place. Trust me, NO PRICES TO THE CONSUMER WILL EVER BE ROUNDED DOWN. For example ... if your desired item costs $2.51 it will go up to $2.55. Same thing if the price is $2.52. You'll get rounded up to $2.55. There are no businesses in Canada that are going to round anything 'down' because the loss of 1 or 2 or 3 cents a unit, multiplied by thousands of units sold can add up and reduce profit. In simple terms, and not to belabour the issue, Stephen Harper has allowed a small retail price increase of 2 or 3 cents on billions of Canadian consumer transactions. It may only be a couple of cents here - a couple of cents there .... but once again .... YOU GET GOUGED. Saskatchewan Conservative Member of Parliament Says Hand Guns Should Be Given To All Teenage Girls! "(Garry Breitkreuz) told a classroom of Ottawa high school students — some as young as 14 — that all Canadians should carry firearms, and girls in particular should be armed to protect themselves from sexual assault." HEY HARPER!! Where's All The Jobs That Your Billions In Corporate Tax Cuts Were Promised To Create? Federal Budget .... Blah blah blah ... Harper ... you're HORRIBLE! Giving Billions of dollars to Big Corporations = who simply moved the cash off shore or are sitting on it as 'retained earnings'. So now you'll screw with Canada's working people. You'll screw with Old Age Security! 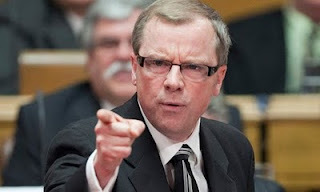 "The puzzling thing about Brad Wall's decision to cut the film tax credit (albeit, after a three month extension to July 1) is the unusual stridency we're hearing from the Saskatchewan premier. After all, this is a premier who has gone to great lengths to distance himself from policy positions that would politically label him. Wall has repeatedly told us it's not about right or left - it's about up or down. In fact, Wall's political charm/success has been intertwined with his ability to come across as something other than a strident, uncompassionate conservative. And given Tuesday's news from Angus Reid polling that suggests Wall still leads all premiers with a 70-per-cent approval rating, the formula still seems to work. It's also why you so seldom hear a strident political statement from him like last week's tweet on the film industry that stated: "If an industry cannot survive at all without a permanent taxpayer subsidy, should the taxpayers subsidize indefinitely?" So why does Wall now seem so set on eliminating "grants" (as he now calls them) to the film industry? Even if Wall's argument that the film tax is really an up-front grant rather than a true "tax credit" is more valid than hair-splitting, it would seem an odd argument for the premier to make. He also says he fully understands why such upfront money was needed by the film industry for financing productions and that his Saskatchewan Party government is open to considering direct film grants anyway. Yet Monday, we witnessed Wall's staff spinning out stories on the need to stop film tax credits across North America even as he was meeting with film industry officials. Why so strident? What else might be behind Wall's position? Well, some of it likely relates to his personality. But perhaps the biggest failing in this debate - one that might actually be shared by both Wall and the film industry - is that there just hasn't been enough listening. This is obviously an issue for Wall, who has simply brushed aside the industry's argument that hundreds of jobs and millions in economic activity are at stake with this decision. Wall has simply ignored the contention that there has been $600 million of economic activity generated by the film industry - a six-to-one return on investment . But rather than protest, the film industry needs to take a better approach than hectoring or lecturing Wall. If Wall can't relate to the need for local production and the nature in which it's traditionally been funded, he can surely relate to the industry's economic impact. There are hundreds of businesses out there - car rentals, lumber yards, clothing stores, restaurants, etc. - that can surely attest to the benefit of a strong film industry. For example, Sonja Clifton-Remple from Swift Current was eager to get out of this province until she discovered 15 years ago she could pursue a career in costume design here. As the costume designer for the TV series Insecurity, Clifton-Remple said she purchased $100,000 worth of clothing, locally, for this show alone. The movie Just Friends, also dropped about $100,000 on clothing, locally, and even a small movie like the yet-to-be released zombie horror flick 13 Eerie bought $14,000 worth of clothes here. One such beneficiary has been Tammy Beltrani of Aria Boutique - a high-end Regina women's clothing store. "When a costume designer walks into your store, it's a very, very good day," said Beltrani, who not only saw $8,000 purchases for shows like Insecurity, but has maintained some of these customers through her online business. The film industry still needs to make its case. But it won't do much good unless Wall listens with an open mind to what they have to say." Political columnist for the Leader-Post. Unfortunately there are no 'truth in advertising' regulations when it comes to political attack ads. As I post this, Stephen Harper's propaganda-meisters are preparing TV ads that are going to carry the theme of 'NDP fiscal irresponsibility'. 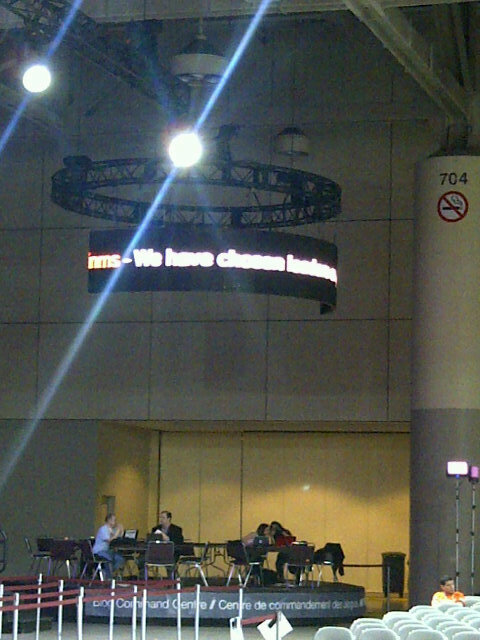 "The company that organized the electronic voting system at the NDP leadership convention is now blaming an orchestrated attack involving tens of thousands of computers for the delays that marred the election of a new party leader. 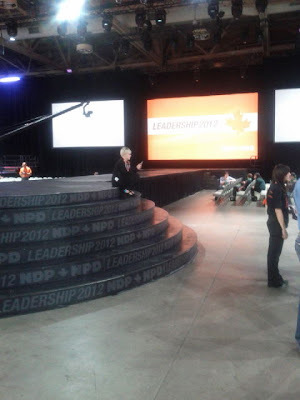 While only a few thousand NDP members chose to use the electronic voting system on Saturday, the website was hit by hundreds of thousands of Internet requests that “jammed up the pipe,” Scytl Canada said in a news release"
Brad Wall continues to amaze. His small minded mentality is driving the film industry from the province of Saskatchewan. In spite of rational and logical arguments to the contrary, Wall has decided to kill hundreds of jobs and drive both companies and film industry workers out of the province. There is only one reason that Wall is doing this. While the Saskatchewan Party was lost in the wasteland of Opposition, they fought the implementation of the province's Film Tax Credit tooth and claw. While the former New Democratic government was implementing a tax credit plan similar to what exists in 8 other provinces, the Sask Party ran around spouting the typical right wing rhetoric about 'subsidizing business' and 'picking winners and losers'. There is no good reason for Mr Wall to dismantle Saskatchewan's Film Tax Credit ... other than he didn't support it at its implementation. Brad Wall is driving companies, jobs and investment out of the province. "What's likely worse is listening only to the philosophically petty or equally self-serving justifications that seem to be either driving or validating the Wall government's yet-to-be justified decision. Even worse than that is the damage being done to the province's image. Really, is it not a problem when the major international stories emerging out of this province in the past week were the attempt by liquor and gaming inspectors to ban Chippendale dancers at a breast cancer fundraiser and the decision to become about the only jurisdiction in North American without a film tax credit? Is this the cosmopolitan "new Saskatchewan" that's trying to attract investors and foreign workers?" Don't think for even one minute that Premier Brad Wall has any reasonable idea of what he is doing with his operation of the provincial government. Since they assumed government, the humorless, visionless Saskatchewan Party bumpkins have limped from one idiotic policy decision to the next. Brad Wall decided to pay farmers a cash bounty to shoot every single coyote that they see on the open prairie. This was a popular move by Mr. Wall because it allowed a bunch of gun happy yahoos to drive around in their half ton trucks and wage war against any wild coyote they could find. The program paid Saskatchewan farmers $20 bucks a head for each one that they eliminated. After a few months of the program, 23,000 coyotes had been shot or trapped. However, having killed so many coyotes, it seems that the province's rodent 'gopher' population exploded. The Wall government found itself with a massive rural infestation of rodent vermin that the coyotes previously controlled. So, in typical Brad Wall logic, his administration started paying rural municipalities to eradicate the rodents. It's too bad that the Wall government weren't able to make the connection between coyotes and gophers. Coyotes are nature's way of controlling gophers! In their zeal to put whatever money they can into the hands of their rural voting base, the Saskatchewan Party compounded the problem. In hindsight, Brad Wall has now dropped the cash bounty paid on coyote eradication. Over the last many years, the Province of Saskatchewan contributed about $100 Million to the local film industry by means of a film tax credit. Every province except PEI, has a film tax credit in order to keep their local film industry competitive. This $100 Million investment brought a return of about $700 Million back to the Saskatchewan economy. Mr. Wall has now decided to dip into the well of Reform Party ideology and has cut the Film Tax Credit. Hillbillies live not only in the Ozark Mountains of the US South. No. A Canadian version resides in the halls of power in the Saskatchewan Legislature. 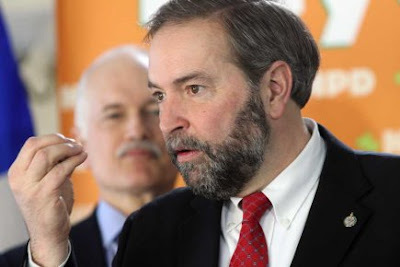 Thomas Mulcair Is The Leader Of The New Democratic Party Of Canada And I Support Him Completely! 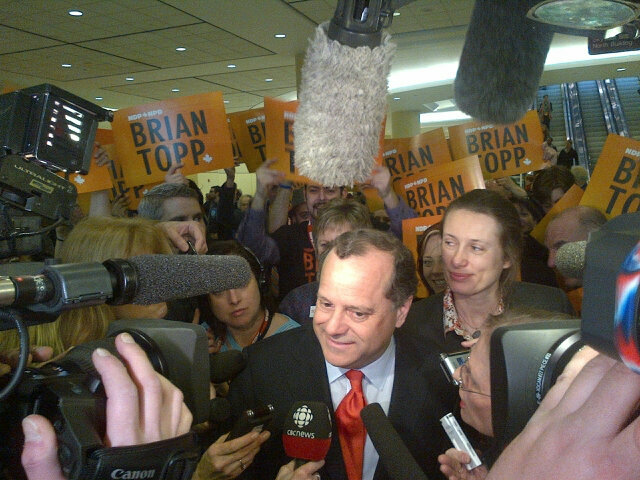 BRIAN TOPP FOR LEADER Of Canada's New Democrats!! 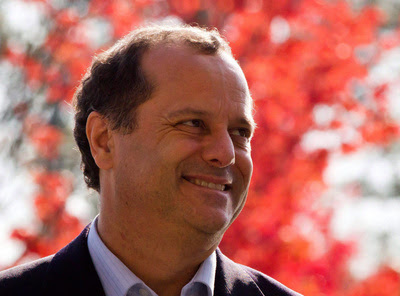 Brian Topp is the BEST choice for Leader of Canada's New Democrats! ... and the Liberals aren't coming back just yet. My vote for Leader of Canada's New Democrats is going to be made very carefully this weekend. Is Speaker Andrew Scheer In A Conflict Of Interest On RoboCalls Issue In Guelph? "The political machine behind the man who is now Speaker of the House of Commons opened its wallet for the Guelph Conservative campaign currently under scrutiny by Election Canada’s robo-calls probe, records at the watchdog agency show. 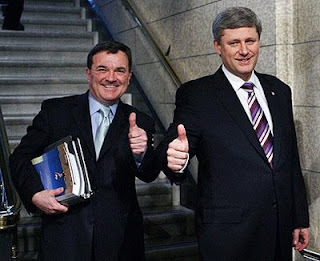 Less than two weeks before the 2011 election, Andrew Scheer’s Regina-Qu’Appelle riding association in Saskatchewan transferred $3,000 to the Guelph Conservative campaign for candidate Marty Burke." Happy St. Patrick's Day To My Friends And Family! The US Army has warned snap-happy soldiers of the dangers of geo-tagging photos after such information was used by enemies to locate and destroy four Apache helicopters. The 2007 incident was recounted by US Army Maneuver Center of Excellence (MCoE) intelligence officer Steve Warren in a statement warning. “A new fleet of helicopters arrived with an aviation unit at a base in Iraq [and] some soldiers took pictures on the flightline … from the photos that were uploaded to the internet, the enemy was able to determine the exact location of the helicopters inside the compound and conduct a mortar attack, destroying four of the AH-64 Apaches,” Warren said. "If a soldier uploads a photo taken on his or her smartphone to Facebook, they could broadcast the exact location of their unit. Longitude and latitude coordinates in geotagged photos were sufficiently accurate to compromise solider positions. Facebook's timeline exacerbated the problem because it places photos taken by users on a map." "If you throw a rock into the night and you hear a dog yelp ... you hit the dog"
Bingo. Saskatchewan residents can now be assured that Premier Brad Wall is desperately scrambling to find the tens of millions of tax dollars needed to implement Ottawa's Bill C - 10, The Omnibus Crime Bill. During Question Period today in the Saskatchewan Legislature, a direct question was made to the Minister of Finance by Trent Wotherspoon, NDP Finance Critic on what the estimated cost of the Bill is for the province. The Minister of Finance would not rise to answer. Justice Minister Don Morgan rose to his feet and delivered a patented piece of political spin that could have been composed by Vic Toews himself. 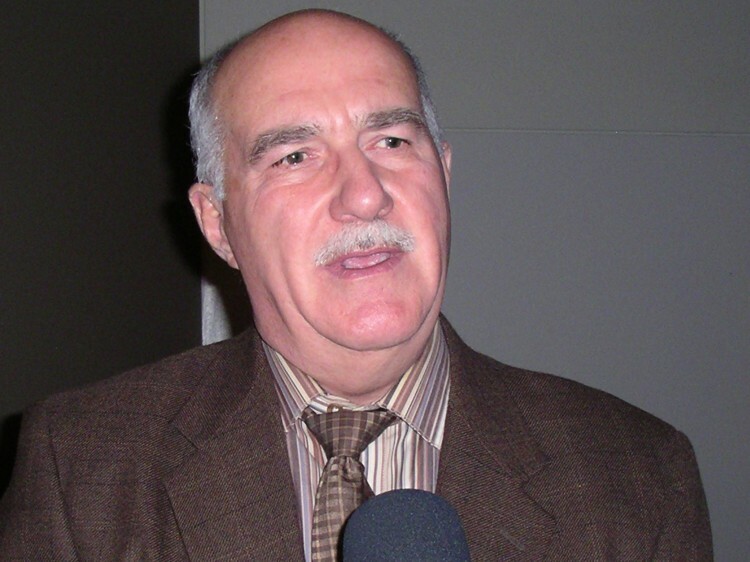 Repeated attempts by the Opposition to ask the Finance Minister a question concerning the cost to the province were all responded to by Morgan. Brad Wall does not have the money to pay for Bill C-10. Saskatchewan's government is desperately trying to scrape together tens of millions of tax dollars to pay the costs without criticizing Stephen Harper for downloading on the province. -Global TV: Sask. government says federal crime bill will cost money, but won't guess how much! Saskatchewan's Justice Minister, Don Morgan told the Legislature that he has absolutely no idea what the cost to the province will be to implement Ottawa's Bill C10 - The Omnibus Crime Bill. I find it amazing that Saskatchewan's Justice and Finance departments have been sitting on their hands over the last year as this federal legislation was bantered around in Ottawa. We simply can't believe Don Morgan. I suspect that, in fact, Saskatchewan does have an estimate of the costs. 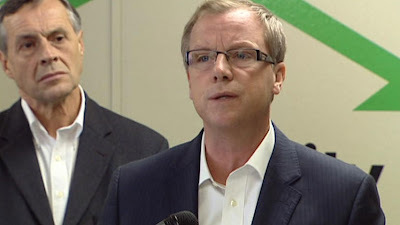 The problem for Saskatchewan taxpayers is that Brad Wall and his Sask Party government are long time apologists and boosters of Stephen Harper. I suspect that they do, in fact, have a good idea of the costs. The cost will be high. Brad Wall has hinted that some big program cuts are coming in the next budget. By connecting the dots, it is not a big leap to guess that Wall is scrambling around to find the millions that are going to be needed to implement C-10. If that's what's looming, then Mr. Wall may believe it's politically unwise to disclose the cost estimates at this time. We will have to wait until the 'omnibus costs' turn up in the Public Accounts of the province, a long way down the road. Don Morgan needs to do better. What's the estimate? 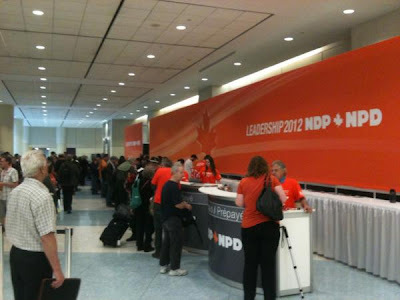 Saskatchewan New Democrats will choose a new leader early in 2013. The decision to hold a leadership convention in February/March 2013 in Saskatoon was made at a party provincial council meeting this weekend. The exact date of the leadership convention, as well as the official start date of the race, will be announced in the coming weeks. 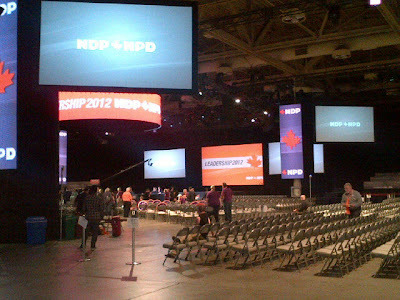 Similar to the last two conventions, the NDP will use a one-member, one-vote process to select the next leader. Party members will also be able to participate in the leadership selection process in a number of ways including online, by phone, mail-in-ballot or in person at the leadership convention. 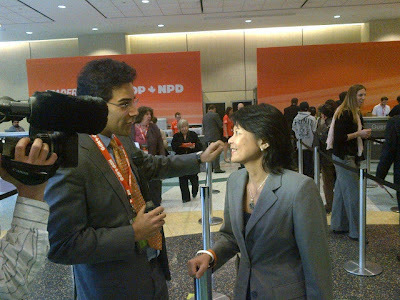 Anyone with a valid 2013 NDP membership will be able to vote for the new leader. Previous Leaders of the Saskatchewan NDP were Tommy Douglas, Woodrow Lloyd, Alan Blakeney, Roy Romanow, Lorne Calvert and Dwain Lingenfeler. "Two secret meetings in the prime minister’s office this month should become chapters in any crisis communications manual. One is the wrong way to handle major problem files. The other highlights the correct response to big bad political news. Shortly after the Robocall scandal broke, aides advised Stephen Harper to appear dutifully concerned and pledge full cooperation with any Elections Canada investigation. He refused, angrily vowing to remain aloof and deliver a full-on head-banging assault against his House of Commons adversaries. The prime minister then went forth and called them sore losers, blamed other parties for being Robo-culprits and dismissed all allegations of electoral funny business as a baseless, fabricated, opposition smear job. He even demanded the Liberals surrender all their documentation while his party defiantly refused to cough up their records. Their bizarre rationale? Well, the Conservatives did nothing wrong, so why should they? But as this controversy dragged on and Harper found himself unleashing a few erroneous smears of his own, another meeting was held. This week Harper assembled all party insiders who would know everything about its election tactics. He went around the table and demanded they come clean if they knew of any dirty tricks. No confessions were forthcoming. That’s when Harper suddenly changed the tone and his tactics. 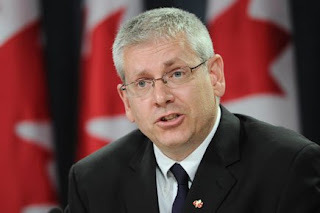 He throttled back partisan hostility and dropped the government’s opposition to an Elections Canada request for enhanced investigative powers. He even pledged to surrender his party’s records for the probe." Billions And Billions In Corporate Tax Cuts From The Harper Government To Big Business Has Given Us .... Job Losses!? 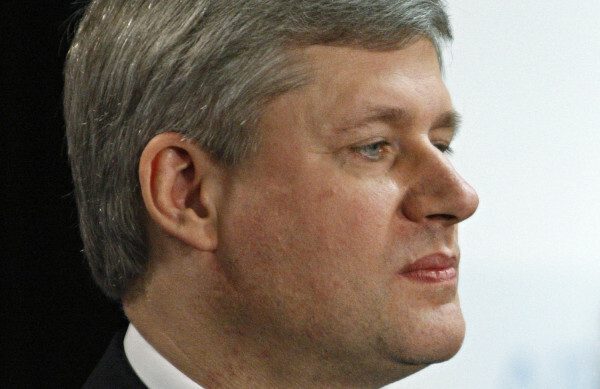 Stephen Harper's ideologically driven corporate tax cuts have been a complete failure. After stoking the engines of big business with Billions and Billions of dollars in tax cuts, Canada has seen a decrease in jobs. The Canadian Corporate world is sitting on hundreds of Billions of 'Retained Earnings' that are NOT stimulating the Canadian economy. It's time to start taxing these free-loaders rather than boosting their profit margins with the hard earned tax dollars of average wage earners! "Employment growth in Canada has stalled since the middle of last year. Youth in particular have been hit hard, with their jobless rate hitting 14.7 per cent in February amid five straight months of employment declines." Hundreds of questionable votes were cast in Eglington Lawrence Riding in Toronto. "OTTAWA — Elections Canada investigators probing the robocalls scandal are interviewing workers on the Conservative campaign in Guelph, Ont., and trying to determine why payments made to an Edmonton voice-broadcasting company were not declared in financial reports filed with the agency. 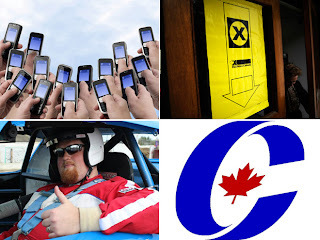 OTTAWA -- Prime Minister Stephen Harper's Conservatives are refusing to publicly release phone records related to their telemarketing in the last election, despite insisting that the Liberal party should take this action with its own records. Opposition parties quickly reacted Monday by accusing the Tories of adopting a bizarre double standard as the government tries to quell the growing robocall controversy over whether someone systematically harassed and misled voters into going to the wrong polling stations in last year's election. 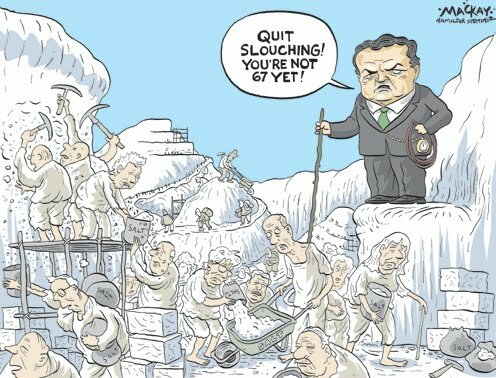 The development occurred as Harper's parliamentary secretary, Conservative MP Dean Del Mastro, warded off questions in the House of Commons by flatly alleging that it was the Liberals -- not the Tories -- who were responsible for "each and every one" of the calls that have now spawned thousands of complaints from voters and an investigation by Elections Canada. Since the robocall controversy broke nearly two weeks ago through a story by Postmedia News and the Ottawa Citizen, opposition parties have been grilling the governing Conservatives in the Commons over whether the Conservatives had any role in the affair. Harper, his campaign chair and Del Mastro have all said the Tory campaign was not involved." 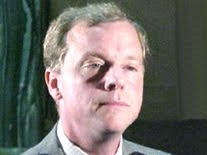 Saskatchewan Premier Brad Wall is an 'unfettered free market' kinda guy. He believes that a working person does not have a constitutional right to withhold their labour. In other words, in Brad Wall's world, if you have a job, you have NO RIGHT to strike .... ever! Brad Wall believes that a person who sells their labour on the open market cannot withdraw or withhold their labour. Some people believe that the word which best describes this archaic concept is 'slavery'. "REGINA — Saskatchewan’s provincial government is appealing a court ruling that found its essential services legislation to be unconstitutional. “The biggest concern we have with the judgment is it creates a constitutional right to strike, which doesn’t exist anywhere in Canadian jurisprudence,” Justice Minister Don Morgan told reporters Monday." Yes Premier Wall .... average working Canadians have a constitutional right to strike. If we have to go to the Supreme Court of Canada to prove it ... so be it! "We believe the issue of an inquiry needs to be addressed because of the seriousness and the scope of what we're looking at. We think Judge Gomery did an excellent job before for Canadians and they trust him. We need a public inquiry." 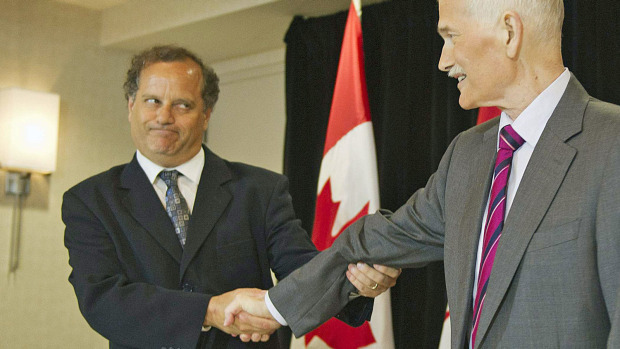 A public inquiry is needed to get to the bottom of the robocall scandal. OTTAWA — A leading American expert on dirty political tricks says the robocalls scandal is a "shock to the system" of Canadian democracy. "I was actually quite surprised because I thought that's a pretty good level of dirty trick," says Joseph Cummins, author of Anything for a Vote: Dirty Tricks, Cheap Shots, and October Surprises. "Misdirecting voters to a different place is a pretty serious dirty trick because you're disenfranchising them and taking away their right to have a voice in their government." 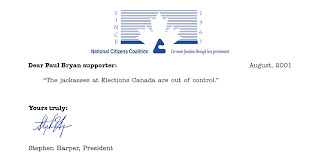 An investigation by Postmedia News and the Ottawa Citizen last week revealed evidence of fraudulent pre-recorded phone calls made during the May federal election in the Guelph riding through services provided by the Edmonton-based voice-broadcast company RackNine Inc. In further developments, it was found that live phone calls were made by callers posing as Liberal candidates in swing ridings. Elections Canada is also probing reports of false information about polling stations disseminated by a call centre in Thunder Bay, Ont. Cummins says the use of voter-suppression phone calls and push-polling is nothing new south of the border. "In the United States, there has been a big push by Republican Party to keep poor people, usually Democrats, from voting. And they do this by enacting all sorts of onerous technical things to prevent them from registering to vote." 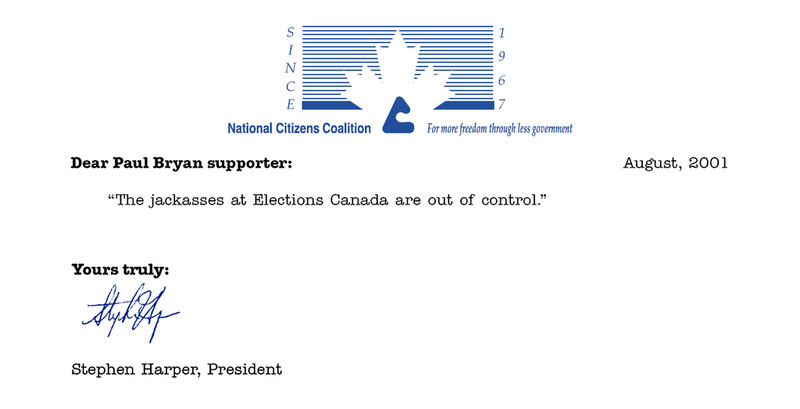 Cummins says that voter-suppression techniques have been in the works for hundreds of years in the U.S. and that the Canadian robocalls allegations reflect two particular election scandals in that country."